In Wichita for work. Ran by the river, down the riverwalk. Nice area for downtown. Glad to be home and in the states! In Mexico all week for work meetings/retreat. Left Puerto Vallarta about 12-15 hours before the hurricane hit. I am very thankful for that! The running in Mexico was awful. The beach was 1/2 mile max surrounded by rocks and running back and forth on the beach was not in my to do list. The resort was gated and running off resort was difficult at best. So that left the workout room. The 90 degree workout room. The humid workout room. So every mile I ran there... all 32... was a nightmare. Home running and despite the tired legs and lack of sleep was a welcome 65 degrees. What a difference. 20 Miles. 8:40 pace (minus warmup/cooldown). Feel good, just tired, but I think that is from the travel. Good old Sugar Creek Trails. Early in the year these made me want to puke as I was getting back into shape. Now I could have run multiple loops if I had the time. Legs a bit lead-ish feeling, but overall felt fine. 49 with a cool wind. After 95 all last week I was chilled, but seriously NO COMPLAINTS. Slow run, as planned. Trying to do some intervals tomorrow. Hope to have some energy. 56 degress and heaviest rain I have ran through in a LONG time. I am not sure if it's from the hurricane I ran from in Mexico telling me 'nice try'. Today I ran the classic... 10 mile warm up and then intervals. 6x1/2mile @ 7:05ish pace w/2 min recoveries. I no where near I was a few years ago, but I am giving it effort... or at least my body tells me I am. 44 and windy. 8 miles felt decent. Nice crisp 47 degree run. Very windy, but overall a good day for a run. Quite a few runners out this morning. Saw a few Boston shirts and more than a few seemed to be moving briskly. The Indy marathon is next week and only 2 hours from me so I was wondering if some might be running that. 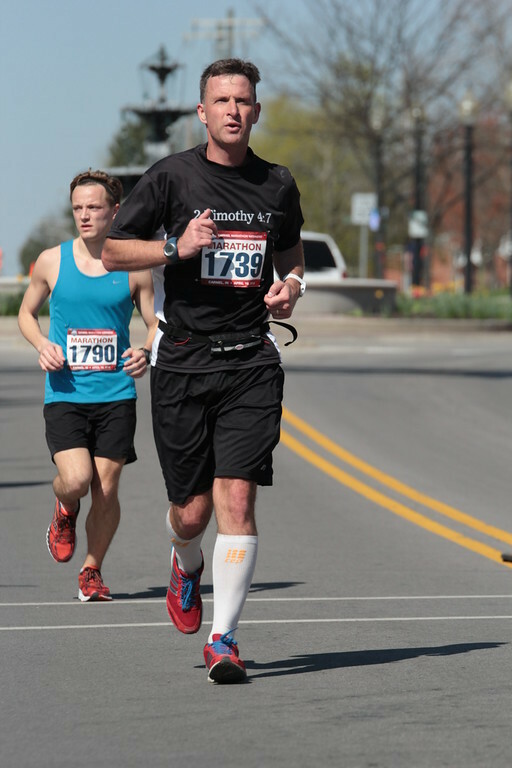 I am still trying to pick my first marathon back. I know I should just run it, but I want to at least give a good showing. One in VA 3 weeks from now looks nice as does one in Delware in December. I'll ponder. Maybe 2016.